For many people, the love of reading starts at a young age, thanks to being introduced to classic children’s books. Growing up, I had multiple novels that I loved to read over and over again. To this day, I still remember those stories and the emotions they brought with them. If you are looking for a new book to share with the little people in your life, take a look at my suggestions below. “My name is Junie B. Jones. The B stands for Beatrice. Except I don’t like Beatrice. I just like B and that’s all.” This classic sentence is the opening to all of Park’s Junie B. Jonesbooks. From 1992 to 2013, this series produced almost 30 books around this fictional 6-year-old, her parents, baby brother Ollie, her grandparents, friends, and Junie B.’s stuffed elephant, Phillip Johnny Bob. The series covers Junie B.’s journey of starting kindergarten in the first book, Junie B. Jones and the Stupid Smelly Bus, to making it to first grade.Some of my favorites novels in the series are Junie B. Jones is a Party Animal, Junie B. Jones Has a Peep in Her Pocket, and Junie B. Jones Is a Graduation Girl. 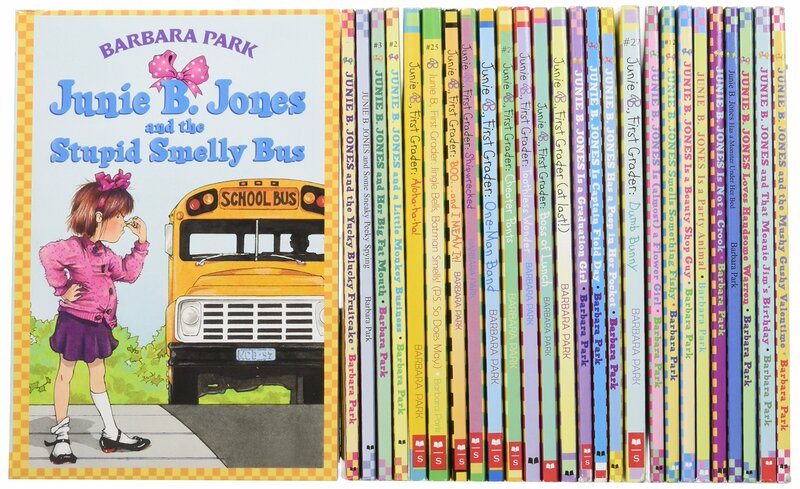 If you are looking for a fun-loving book series, written in the voice of a child, for the young ones in your life, Park has the perfect collection. In addition, she has written older books for middle school aged children. The book, The Outsiders, is another one of my favorites. It is geared towards middle-school aged children or older, but teaches many valuable lessons. First published in 1967, author S.E. Hinton describes it as a “coming of age” novel. It tells the story of two rival gangs, the working-class “Greasers” and the upper-class “Socs” and is told through the view point of Ponyboy Curtis, a teenager who is part of the “Greasers.” The Outsiders is set in 1965 Oklahoma. What I love about this novel is that it shows society that socio-economic classes and their differences are pointless and they can cause more harm than good. The Outsiders is filled with themes of bridging the gap between the poor and rich, standing up for those who can’t, and the interactions between people. Many students read this novel in school, but if you haven’t, I recommend you do so. Also, fun fact: Hinton starting writing The Outsiders at the age of 15 and was only 18-years-old when the book was published. There are many classic children’s books out in the world. People have their favorites that they read over and over again. One of the best things, however, is when the love of a children’s book is passed from generation to generation. Best known for wearing his lovable sweaters and always singing, “It’s a beautiful day in the neighborhood,” Mister Rogers connected with many people throughout the world with his kind and comforting personality. Born on March 20, 1928, famous television personality Fred Rogers lived his life as a musician, writer, producer, puppeteer, and Presbyterian minister. Rogers went into television because, as he once stated, “he hated it,” and didn’t like what programs were currently on TV. After graduating from college, he worked at NBC before returning to his native Pittsburgh to work at a local television station. During this time, Rogers developed The Children’s Corner, went to seminary and the University of Pittsburgh’s Graduate School of Child Development. After Pittsburgh, in 1963, Rogers went to work at the Canadian Broadcasting Corporation and the idea of a show about Mister Rogers was born. From 1968 to 2001, Fred Rogers was a staple on American television, hosting Mister Rogers’Neighborhood. Through895 episodes, Mister Rogers welcomed everyone from all walks of life into his home. Regular neighbors of Mister Rogers were the “Speedy Delivery” man Mister McFeely, Lady Aberlin, the baker Chef Brockett, and the singing policeman, Officer Clemmons, plus more. In addition, famous guests visited the neighborhood, including Bill Nye the Science Guy, the Dance Theater of Harlem, and marine biologist Sylvia Earle. According to the official website of MisterRogers’ Neighborhood, the show “took us by hand and together we learned about ourselves, others, and the world around us.” For many people throughout the world, that statement rings true. Throughout the decades, Mister Rogers gave the world many lessons about friendship, being confident in ourselves, understanding our feelings and the world around us. In addition, his wisdom related to the topics of helping others, welcoming and valuing everyone, and appreciating our similarities and differences. Lastly, Mister Rogers taught his viewers to wonder, explore, and be curious. He showed us that we should be open to new experiences and that it is okay to talk about difficult subjects. For these lessons, he consulted with Dr. Margaret McFarland, a well-known child psychologist, who helped Mister Rogers make sure his scripts were in line with true concerns and feelings of children. This is a favorite recipe for many and a popular one, so I’d thought I would post it again! Plus, is there anything better a cup of ice cold Cheerwine? Don’t know what Cheerwine is? The beverage is a cherry soft-drink, founded in North Carolina. Trust me, it is a must-try! This soft-drink has multiple uses, including being made into quick and easy cupcakes! Whisk together cake mix, Cheerwine, and cherry flavor. Pour into prepared pans and bake according to package instructions. Cool completely. In a saucepan, boil down the Cheerwine until it has reduced to 1/2 cup. In a mixer, cream butter and 2 cups of powdered sugar on medium speed. Slow speed to low and add Cheerwine reduction. Increase speed to high and beat until light and fluffy, adding additional sugar if needed. 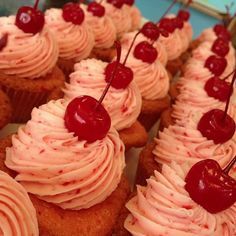 Pipe frosting onto cupcakes and top with maraschino cherries. Have you ever had a case of the Sunday scaries? You know, the time you realize on a Sunday night that Monday is coming? According to research, two-thirds of the population state that Monday is the worst day of the week. And why not? It is the start of a new week, the start of several continuous days of work and errands, and many days until the next weekend. In addition, research shows that people put pressure on themselves to start something new or quit something. Let’s face it, we all have said “we’ll start Monday.” However, we can change that. 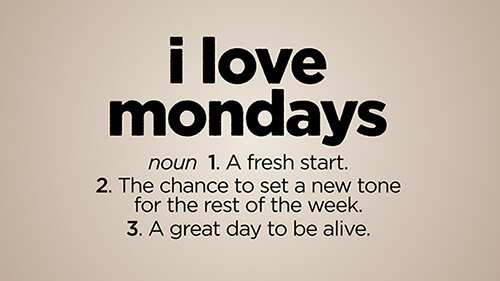 We can change the way we think about Mondays and can make them one of our favorite days of the week. In fact, people across social media and online are already celebrating Mondays. Recently, I read the book The Pepper Effect: Tap into the Magic of Creativity, Collaboration, and Innovation by Sean Gaillard. This novel is meant for educators and included lessons on how to implement the ingenuity and imagination of The Beatles into schools. Throughout the book, Gaillard touched on many topics, including why we should celebrate Mondays. After a quick Google search on the idea, I discovered that many people had already taken part in this concept. For Gaillard, celebrating Mondays started with a desire to create bigger professional learning networks for teachers, while utilizing social media. To do this, Gaillard developed the hashtag #CelebrateMonday. Its purpose is to start each week with positivity and highlight the activities teachers are doing throughout the community, as well as, teaching children to be responsible citizens online. Essentially, it is all about recognizing the good things happening in the world of education and sharing them with others world-wide. Since then, many people, mainly in the educational community, have been using the hashtag and starting the week off on a good note. As for those who aren’t teachers, principals, or school administrators, there are still many ways we can celebrate Monday. After all, don’t most people dread the start of a new week and count down the days until Friday? Referring back to my Google search, I noticed one particular site that put a new perspective on the concept. Writer Marc Seigel posted on his blog, A Flipped Approach, the article “Let’s Start Celebrating Mondays.” In this post, Seigel stated that the second day of the week is a fresh start and a clean slate. In addition, he added the image with the caption “T.G.I.M.” – thank goodness, it’s Monday. Usually, you say this for Friday, but have you ever thought about saying it for Monday? It might be time to start. Speaking of starting, T.G.I.M. is quickly rising in popularity, thanks to the lifestyle website, Thrive Global. This site has started the social campaign to change people’s way of thinking. There are many opportunities for people to alter their attitude towards Monday. Start thinking of the day as a new beginning of a new week. However, don’t forget to celebrate your accomplishments and your goals. For example, celebrate Monday by looking at how far you came the previous week or how much you have accomplished on a tough goal. Ease the pressure of the day; it is just another day of the week. Another idea is to celebrate those around you. Give your co-workers a high five in the lunch room or tell someone you are proud to be their friend or ask them about the best thing that happened the week before. Monday blues don’t have takeover your week. Instead, kickoff the next seven days with a celebration. Overtime, more and more people will begin to start celebrating Mondays and before you know it, Mondays will be the best day. February 14th is a day full of love, and there are many ways to celebrate with your loved ones, especially your kids. Multiple activities are available to create excitement around Valentine’s Day at home and at school. However, it can get overwhelming deciding on the perfect Valentine for your child to send to their classmates. To help ease some of the stress of finding the right Valentine to send to school, below are some ideas for you to use. Candy or food doesn’t have to go with the card. Instead, try adding a colorful pencil, small notebook; a fun toy, such as a Hot Wheels car for boys and a bracelet for girls; or a miniature animal or Legos. Let your child decide on the cute treat to include with their classmates’ Valentines. Paper – yellow, black, and red for the antennas. Then, cut out two circles in yellow paper, about 2and 1½” wide respectively, for the body and head. Attach the smaller circle, the head, to the bigger one with a glue dot. Using the black paper, cut two or three ¼”-wide and 5″-long strips for the bee’s stripes. Attach to the body with glue dots. Cut off any excess black from the body and place it on the back of the head as the antennas. Create a small flower of red out of the red paper to attach to the top of the antennas for a pop of color. Then, add the bee’s stingers with small black triangles to the body. Then, turn the bee into a puppet by gluing the insect to a popsicle stick. Lastly, add some decoration, personality, and a cute face to your bee. Ta-da! Other fun ideas to make into Valentine’s Day gifts include watercolor paints, bubbles, finger paint, Play-Doh, glow sticks, fake tattoos, and coloring pages. Valentine’s Day is a sweet holiday whose meaning is centered on love. These ideas are awesome in helping to bring the holiday’s meaning to school with your kids. Just remember the goal is to make the Valentine’s Day fun, creative, and exciting for the receivers. Last night, as the clock ticked towards midnight, I found myself crying. It was happy tears that came pouring from my eyes. 2018 was a tough year, but when I started thinking about it, the year was probably one of the best ones yet. In January, my grandmother battled the flu and pneumonia. My family heard twice in the course of two weeks that she might succumb to the sickness. Throughout the year, especially in the fall, she had numerous hospital visits and rehabilitation stays. We almost lost her when they had to do emergency surgery to drain fluid from her heart. In addition, it has been hard to watch someone you love so much, be so much in pain. We have had multiple doctors’ visits and waiting for test results. Lastly, my family has felt the emotions and tough love of being caregivers. There has been financial stress. At times, we worried how we would make it to the end of the month. I received a graduate certificate in middle grades education and accomplished my goal of becoming a teacher. The opportunity of student teaching and getting a job at two great schools have made that dream and goal all the more of a reality. In these positions, I have been challenged and overcame obstacles that made me a better educator. My sister got engaged and married in a beautiful ceremony. Above all, my grandmother survived all the health scares. She is flourishing and doing marvelous for an 85 year old. In fact, we all survived. And we are all here; stronger and ready to take on the next 365 days. So, yes, 2018 was a pretty great year. When is the Best Time to Buy…? Once again the holidays have come and gone and it’s almost a brand new year. Spending money on new purchases is probably the last thing on your mind. However, never fear, because you can plan your wish list around the months of the year. After all, a great bargain never goes out of style. Each month is known for its special deals on different items. According to experts, these deals are based on sale cycles, but some exceptions include fluctuations in prices and a retailer’s inventory. In addition, some products have seasonal specials, as well as being on sale at different times of the year. February: President’s Day is a great time for retailers to have sales. November: Don’t forget about Black Friday! Before any shopping trip, it helps to do your research, especially when it comes to making larger purchases, such as digital cameras or cars. Websites, including consumerreports.org and amazon.com are great places to start. On these sites, you can read customer reviews and learn more about the product. There is nothing wrong with shopping around, whether at stores or online. Shopping around allows you to see where you can get the same product for the best price. Along with doing your research, it’s important to plan things out. Buy a calendar or make a list of when to buy different things. This is helpful particularly for larger shopping trips. A calendar and list are great for keeping coupons in order, too. Coupons are available in the Sunday newspaper, online and through phone apps. Another option is looking at coupons.com for deals. If you are shopping online, search for the store’s name and coupon codes before making a purchase. If you are a frequent shopper at a certain shop, ask about their loyalty rewards program. Most likely they will have one and it will be beneficial to join. Many of these programs give their members special deals and coupons to use. In addition, some programs give a percent back or discount on your purchases. 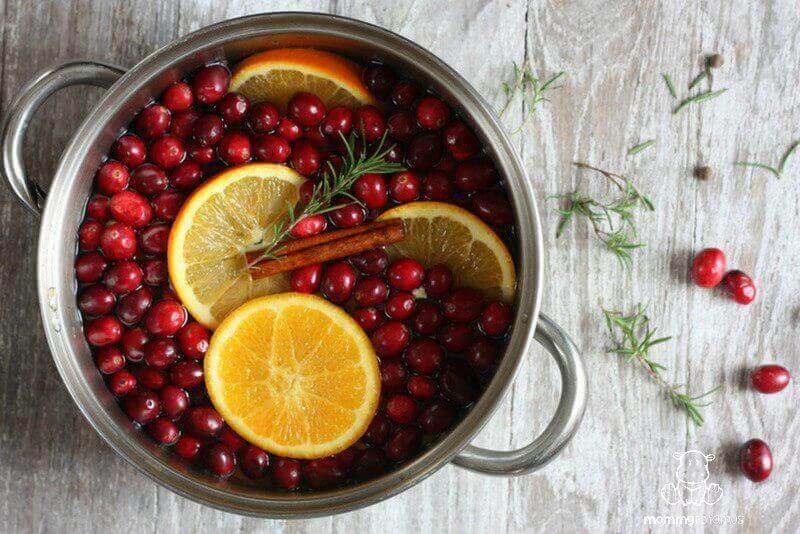 Try to schedule your shopping trips around holiday and seasonal specials. Holidays, such as Presidents’ Day, Black Friday, and Memorial Day, are known for their big sales and special deals. When it comes to sales, no matter if it is a special time of the year or not, it’s helpful to read the sales advertisements and flyers carefully. The small print could contain information that would limit or prevent a deal. Lastly, the days of the week also play a factor in when products are discounted. Shopping can be fun and hectic, especially when it comes to larger shopping trips or purchasing bigger products. It is important to remember and use some of the tried and true shopping tips. These tips can help take some of the stress out of the adventure. After all, shopping is supposed to be retail therapy, right? It is throwback Thursday time with a post from 2017! I LOVE, LOVE a good cup of hot chocolate, but sometimes I don’t want it hot. I want it….well, cold or more like frozen. Try this recipe the next time you want this chocolatey drink. Works great for summertime, too! Combine sugar, cocoa mix, and butter in the top of a double boiler. Stir until melted. Stir in semi-sweet chocolate chips. Mix until mixture is smooth. Slowly add in 1/2 cup of the evaporated milk and stir until smooth. Cool to room temperature. Combine chocolate mixture with the remaining evaporated milk and ice in a blender. Blend until smooth. 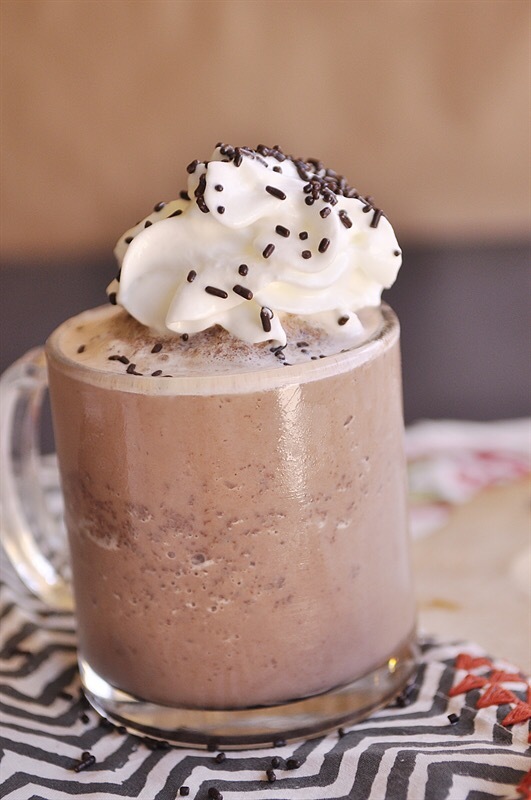 Pour into frosty glasses and top with whipped cream, marshmallows and chocolate chips, if desired. Then, fill the jar with the ingredients and immerse in water. Decorate the outside with the burlap, ribbon or twine, and add a gift tag with instructions on how to use. The instructions should say something like: “Pour contents into a small sauce pan and simmer over low heat. Add water as needed. Enjoy! I hope you have a great Thanksgiving! Stop and give thanks for your many blessings. Thank you for following along on this journey with me!